Welcome, Bienvenue, Wilkommen, Come on In!!! Fat Bottom Cabaret is Austin's one and only plus size performance troupe. Our voluptuous ladies are changing the face of cabaret with professionally choreographed dance and one of a kind jaw-dropping acts. Whether a single routine or one of our signature variety shows, FBC is guaranteed to excite, inspire and entertain! 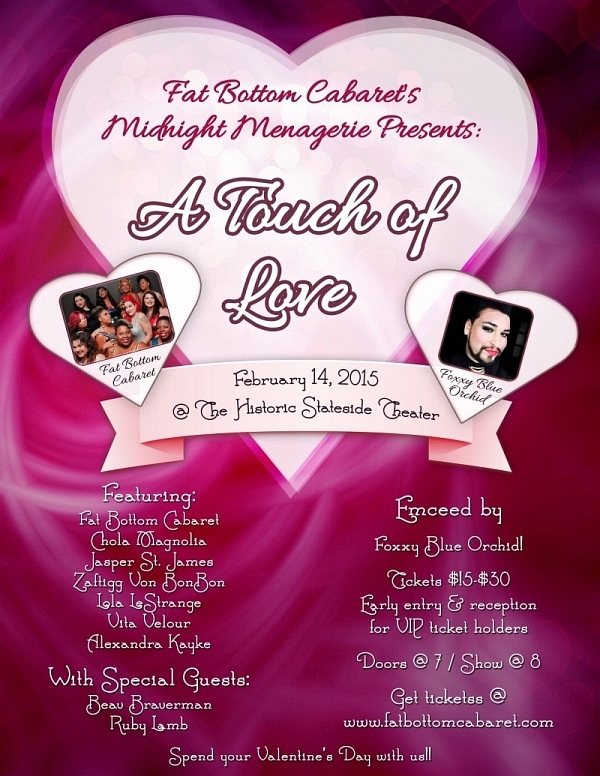 Buy tickets for A Touch of Love at the Stateside at the Paramount here! Check out our article in Reporting Texas! 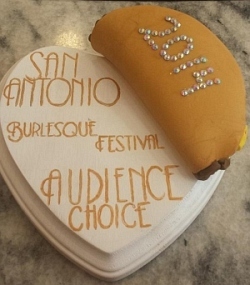 Fat Bottom Cabaret are the 2014 San Antonio Burlesque Festival's Audience Choice Award winners.